In the early stages of its life, Microsoft PowerBI still lacks quite a bit of basic functionality that one would find in other data visualization tools. One such functionality is the ability to quickly perform cumulative (or running total) functions. Fortunately, using the CALCULATE command, we are able to hack our way to a solution. Now, add a line graph widget by clicking the line button in the visualizations menu. Now, add the new MEASURE that you created into the “Values” field and add the <group-by-field> into the “Axis” field of the tool. 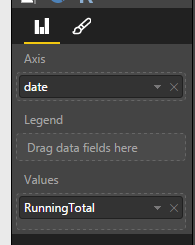 In my example, I added “RunningTotal” to the “Values” field and “date” to the “Axis” field. Voilà. Cumulative Line Graph. I also like to add a “Total” card at the top, just to double-check that it worked. 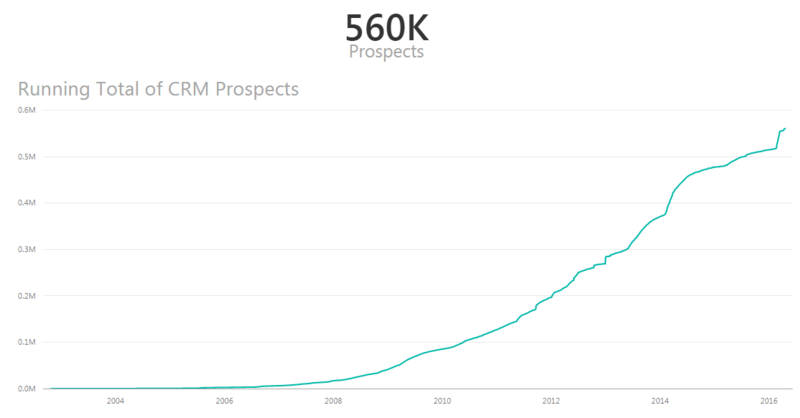 Microsoft Power BI (or is it PowerBI with no spaces…I don’t even know) has the potential to be a threat to an already saturated BI Data Visualization market, but it has a long way to go, yet.